Editors: McFarland, Ian A., Fergusson, David A. S. and Kilby, Karen, et.al. 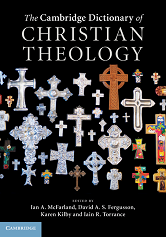 With entries ranging from Abba to Zwingli composed by leading contemporary theologians from around the world, The Cambridge Dictionary of Christian Theology represents a fresh, ecumenical approach to theological reference. Written with an emphasis on clarity and concision, all entries are designed to help the reader understand and assess the specifically theological significance of the most important concepts. Clearly structured, the volume is organized around a small number of 'core entries' which focus on key topics to provide a general overview of major subject areas, while making use of related shorter entries to impart a more detailed knowledge of technical terms. The work as a whole provides an introduction to the defining topics in Christian thought and is an essential reference point for students and scholars.